History was made from October 18-22, 2017 in support of the USGP in Austin, TX where Formula One arrived at the Circuit of the Americas for the 6th year. Shell had a full schedule integrating numerous activations throughout the week. Starting with a Shell Live production day on Wednesday and continuing on to tell the #RigToRoad story in New Orleans and with a visit to the Auger Oil Rig. This was followed by a trip to Shell Laboratories in Houston, TX where special guests engaged with Shell scientists. 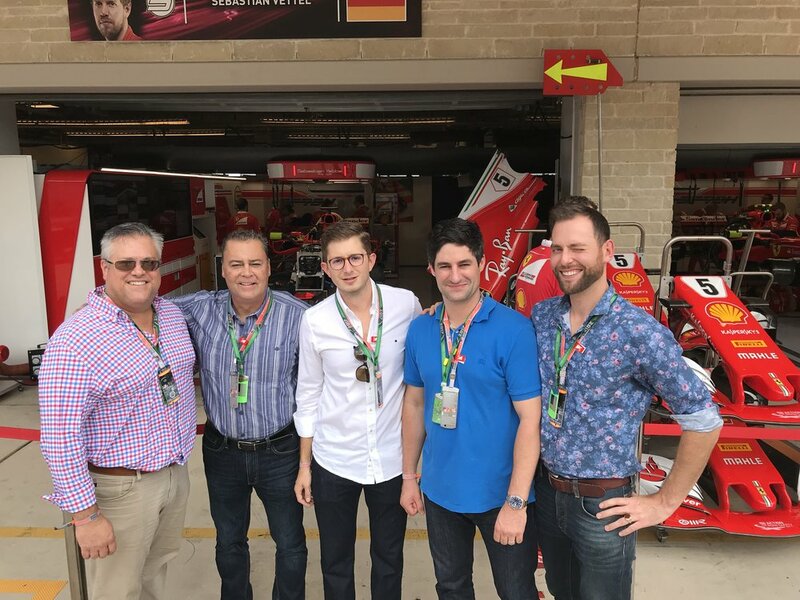 The festivities finished in Austin at the Ferrari Formula 1 Paddock Club with top-notch media, influencer, customer and key partner engagement and hospitality. Media metrics provided by Edelman. View full report by clicking here. For the first time in Shell Motorsport history, three of the world's top drivers from three top series came together to showcase Shell's global reach in motorsports. The drivers arrived on the Wednesday before the race at a local Shell station to meet with employees, engage customers filling up, and of course have a little fun together as well. The group started the day by surprising Shell customers right as they were reaching for Shell V-Power Nitro+ Premium Gasoline. Customers learned about the benefits from Fuel Rewards with special entry cards and promotional signage throughout. No one knows the importance of the right fuel and lubricants like the guys putting it to the test each and every week around the world. The drivers took some time throughout the day to meet with customers filling up at the Shell station. What a surprise! "Scuderia Ferrari's Sebastian Vettel knows every little nuance about the car he is racing. Vettel will be racing under the Scuderia Ferrari umbrella again this Sunday at the Circuit of the Americas (COTA). We caught up with him before the race and asked him some questions about the racing, gasoline and new regulations for this season..."
The drivers then moved on camera for a dynamic Shell Live production. They were put to the test with a series of questions and challenges coming in from Shell Motorsport fans around the world. 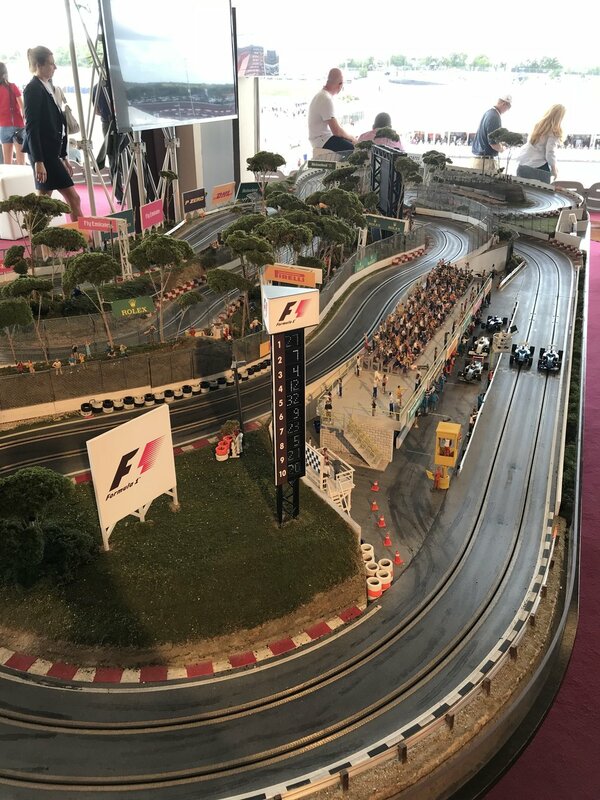 After Josef made sure we knew the city of Austin's slogan, the drivers raced around a replica slot car track of Circuit of the Americas showcasing their expertise of the track environment, on a smaller scale. The superstars thanked the employees of the local Shell station for being such great hosts, then head out together to try a different kind of driving that tested their style and precision at Topgolf Crush. See the next segment of Shell Live below. What happens when you ask three superstar race car drivers to try their hand on a Topgolf driving range? A really great time. Shell has been safely and responsibility extracting crude oil from the Gulf of Mexico for decades that are the base for our premium fuels and lubricants that power our motorsport relationships as well as everyday drivers on the road. And, for the last 100 years, Shell has continuously broken boundaries, including developing one of the first globally available premium fuels and a synthetic lubricant made from natural gas. There's no better way to tell this story of safety, technology and performance than by inviting some special guests to experience what it takes to make it all happen. Members from The Washington Post and theCHIVE joined Josef Newgarden and Shell to go from #RigToRoad. Before guests were able to take the nearly two-hour helicopter journey out to the Auger Oil Rig, they all completed HUET (Helicopter Underwater Egress Training) safety training in New Orleans. See below for some behind-the-scenes footage of what the once-in-a-lifetime experience was like. "The origins of products we use everyday are unfamiliar to a lot of people. A lot of us take for granted what it takes to produce a product for consumers across the globe. Included in this is the fuel billions of us use on a daily basis. Luckily we were able to get an inside look into the process of how Shell gets fuel from the oil rig to the road...."
"There are 4700 miles of pipeline underwater in the Gulf of Mexico. Think of it as train tracks - the flow of oil can be switched from one pipeline to another depending on price to refine, storms or refinery closures. It is a well-oiled machine pun intended. About 30% of US production comes from the Gulf. There are about 2,400 platforms out here and Shell is the largest producer..."
2017 Verizon IndyCar champion Josef Newgarden was along for the entire #RigToRoad experience, and shared what it was like through the official Team Penske Twitter handle. This was the first-ever example of the Team Penske Twitter handle taken over. 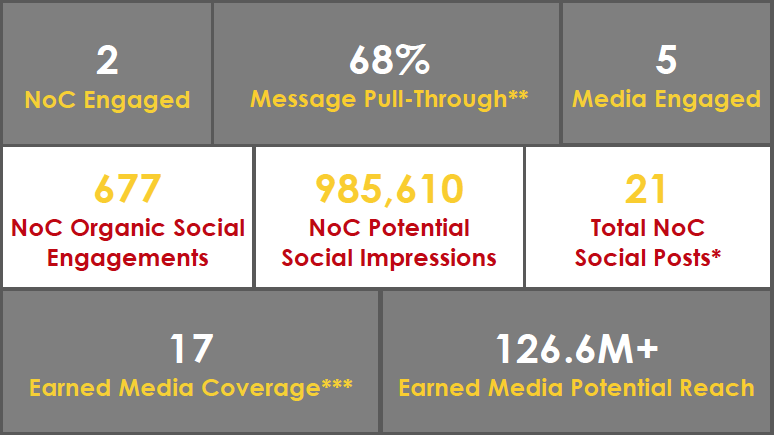 The metrics show that fans loved hearing from Josef documenting the experience, capturing nearly 150,000 impressions and over 4,000 unique media engagements. Download the full report from Team Penske by clicking here. On the world's largest motorsports performance stage, guests experienced Shell's technology come to life in Formula 1. It was the first time in F1 history where an American Grand Prix took place at an American circuit with American owners of the sport, all at the same time. It was clear this combination payed off, with Racer reporting an average of 1.05 million viewers tuning in for the race earning a 0.65 rating. That's up over 35% from last year's USGP. After a day at Circuit of the Americas full of behind-the-scenes tours, qualifying and a private session at Topgolf Crush, guests were invited to an intimate dinner at the Austin Taco Project downtown. The Washington Post, theCHIVE, and the Network of Champions were all in attendance mingling with other guests. The food and drink was amazing, but the real treat? Having Ferrari development driver Marc Gené join to share what the team was doing to prepare for USGP. The day everyone had been waiting for, Sunday! While an intense early morning rain storm caused some initial concern, it turned into a stunning day for racing. Shell welcomed nearly 50 guests from four different channels around the world including: Shell Retail, Shell Lubricants, Shell Trading and Shell Sulphur. Special guests included media from The Washington Post, theCHIVE and digital influencers from the Network of Champions. This wasn't an ordinary spectator experience. It all started with a luxury transport from the hotel to the track that was escorted by police the entire way that dropped people off right inside the track. Passing by the hundreds of thousands making their way to watch the race was a special experience, indeed. Once guests arrived, one of the most luxurious and exclusive hospitality experience in all of sports took it from there. The Ferrari Formula 1 Club had a beautiful setup complete with all-day food and champagne and stunning start/finish views. In-between the action, guests got to see inside the Ferrari garage and paddock area, also getting a unique look at the Shell Track Lab that is working to improve fuel and lubricant products at every single Formula 1 race. Guests left with a special gift from Ferrari on both Saturday and Sunday, celebrating another thrilling round of the F1 World Championship. 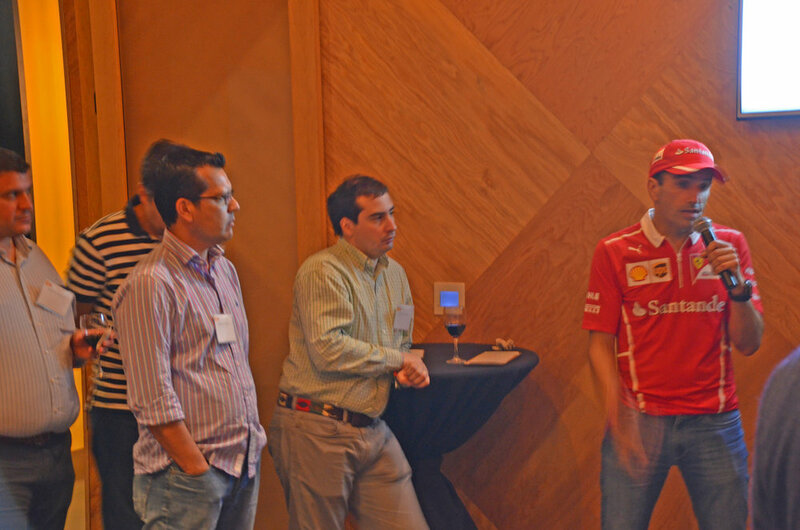 Shell’s NoC guests, Tamula Walker and Sujeet Patel, were also present in Austin to capture and share the weekend’s activities with their social media audiences. In the coming weeks, they will be sharing recaps of their time with Shell at F1 on their respective blogs. Tamula Walker's story on The Drive, “Fuels and Lubricants: Perfecting Winning Formulations in Motorsports,” published in November and has a UMV of 1,642,517 (source: Muckrack). The story shares the storied history of Shell’s partnership with Scuderia Ferrari, touts the consumer connection to the fuels and lubricants used in F1 vehicles, and features an insightful Q&A with Guy Lovett. Joining Shell throughout the weekend were special guests from the Bondurant family, including former Scuderia Ferrari F1 driver and motorsport legend Bob Bondurant. It was a very special moment when Bob and Sebastian met together at the Ferrari Paddock Club, two men who bring extraordinary presence to the world of motorsports. The Shell and Pennzoil teams are continuing to celebrate a technical partnership with the Bob Bondurant School of High Performance Driving. Through this partnership, Shell V-Power NiTRO+ and Pennzoil Platinum are powering and protecting every one of the high performance cars at the driving school. In an effort to constantly improve guest experience, the team administered a comprehensive survey for guests to complete after the event. For a small group, the results were top-notch. 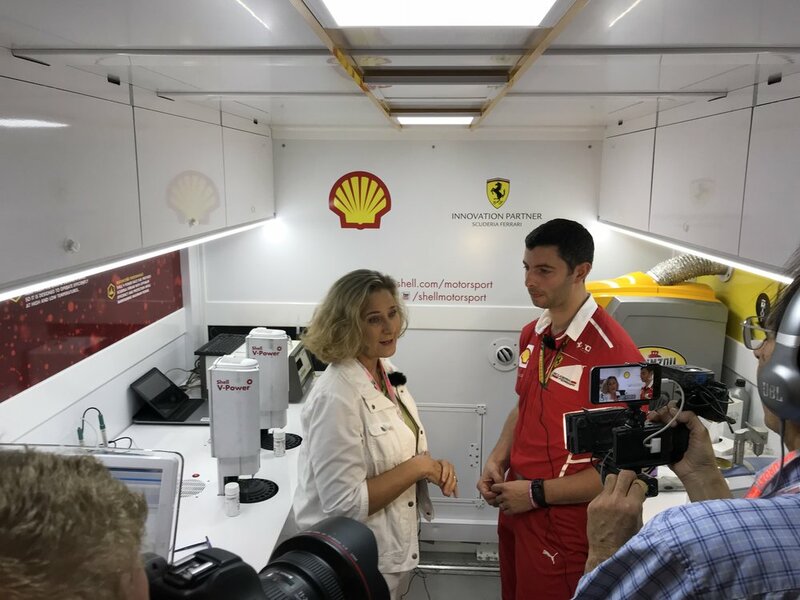 A critical element of this sponsorship is Shell's ability to develop the highest performing fuels and lubricants at the race track with Ferrari, and the survey checked in how guests learned about that aspect.